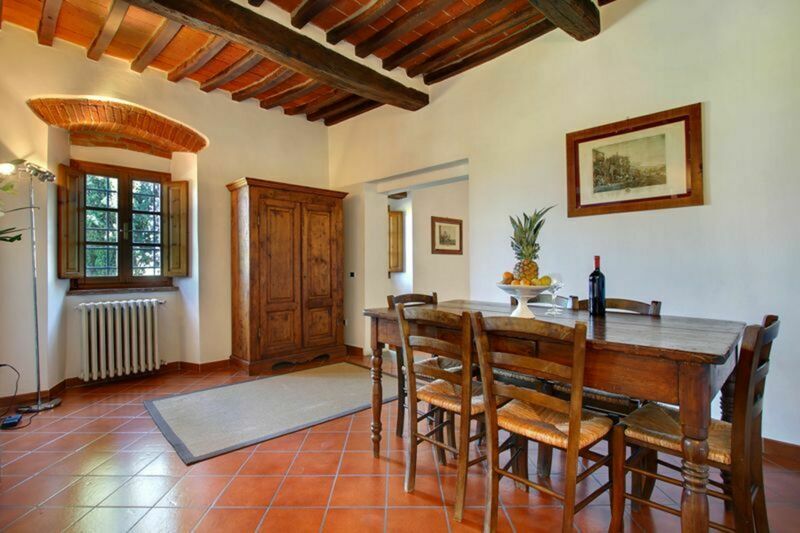 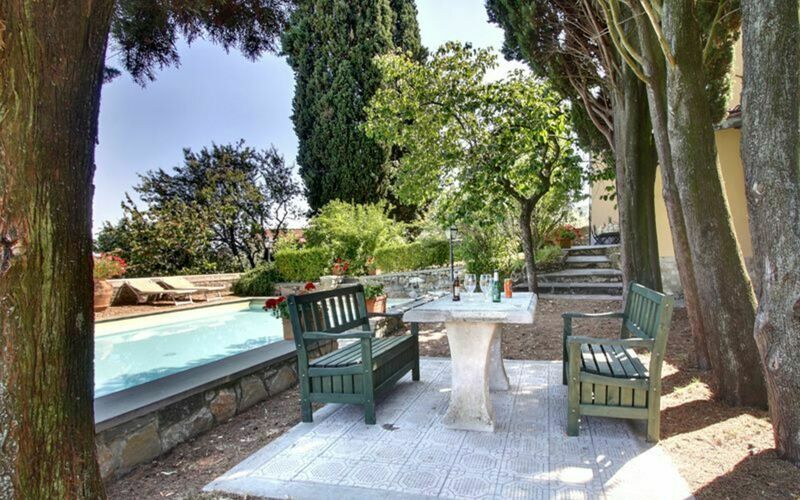 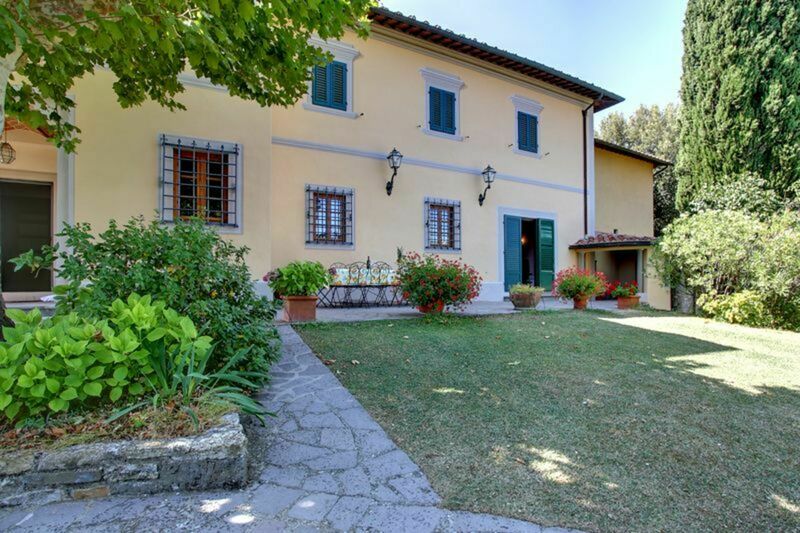 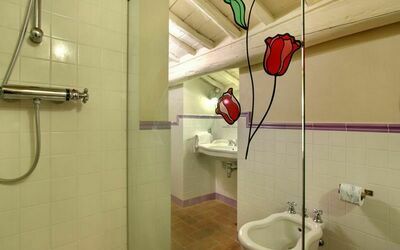 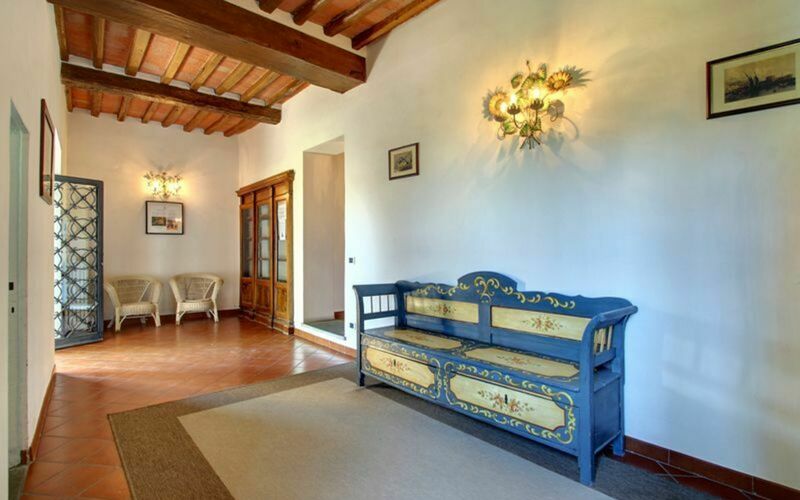 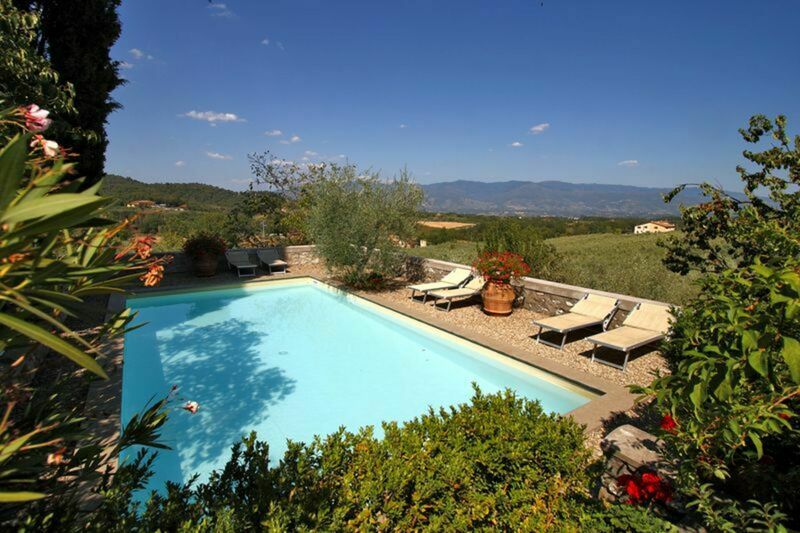 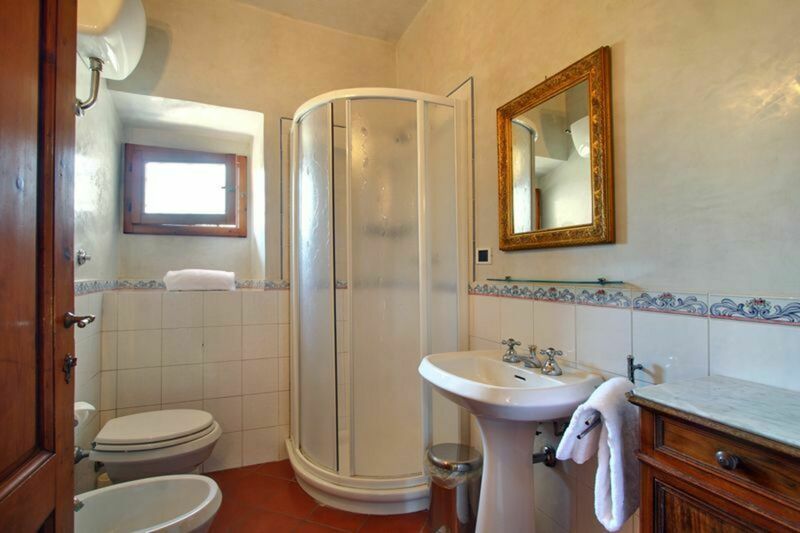 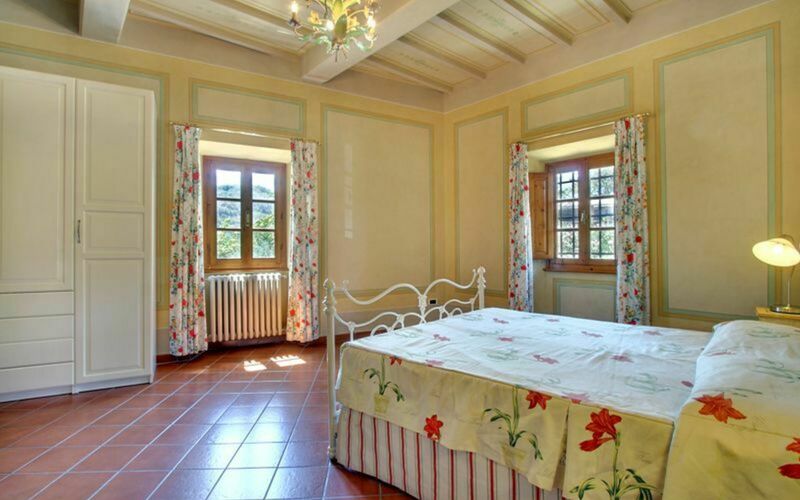 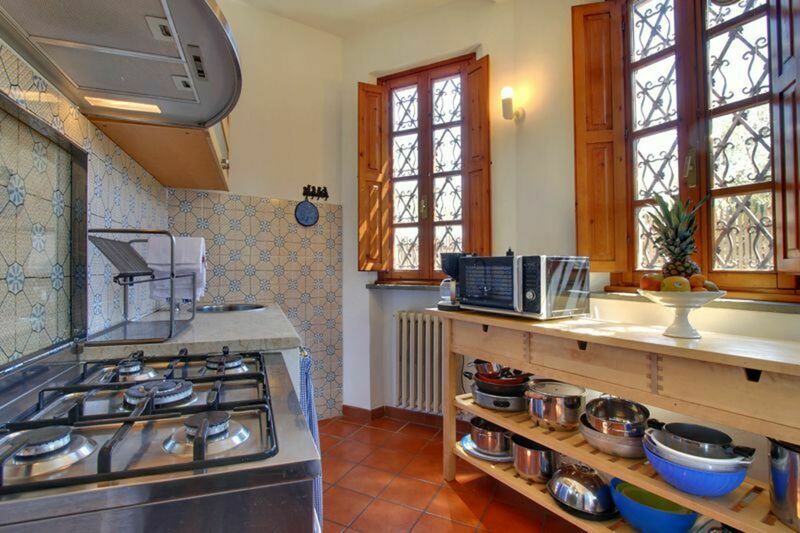 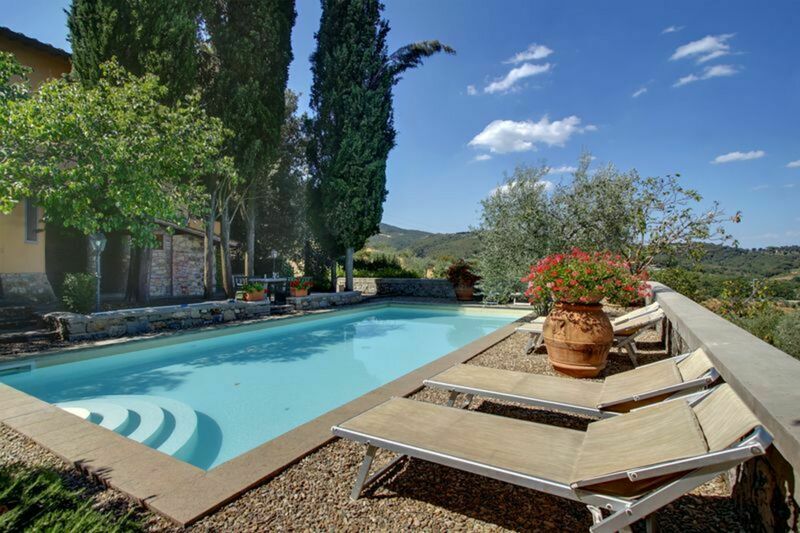 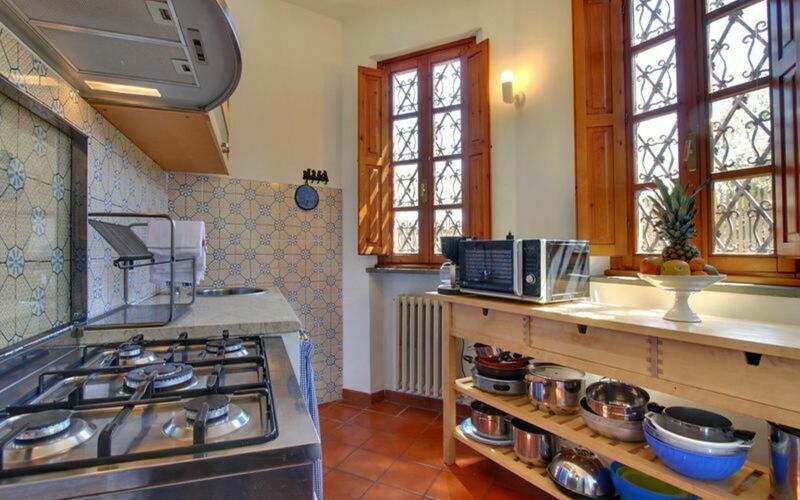 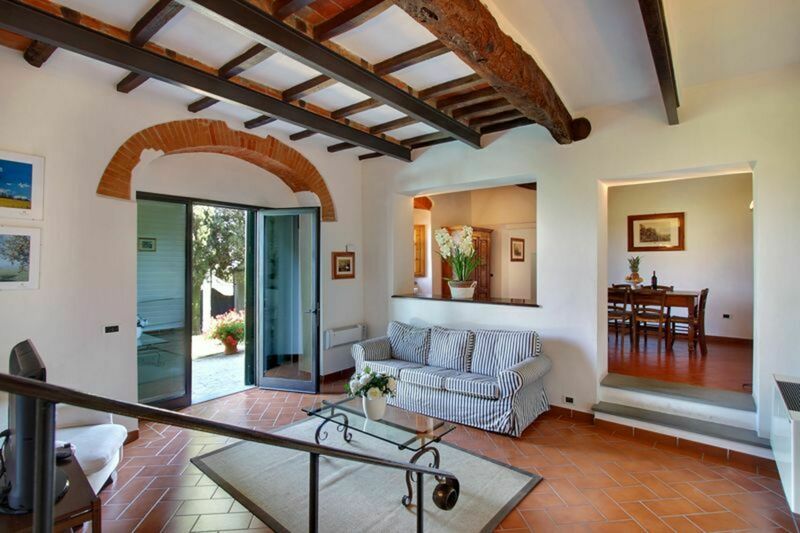 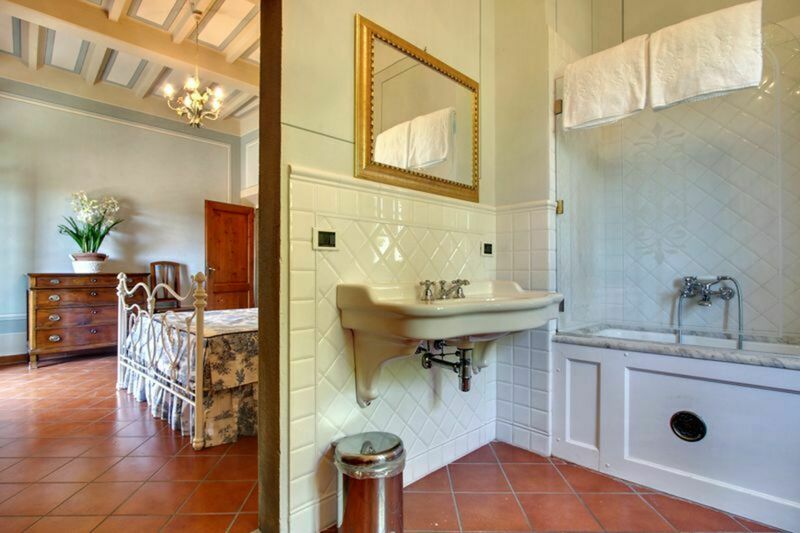 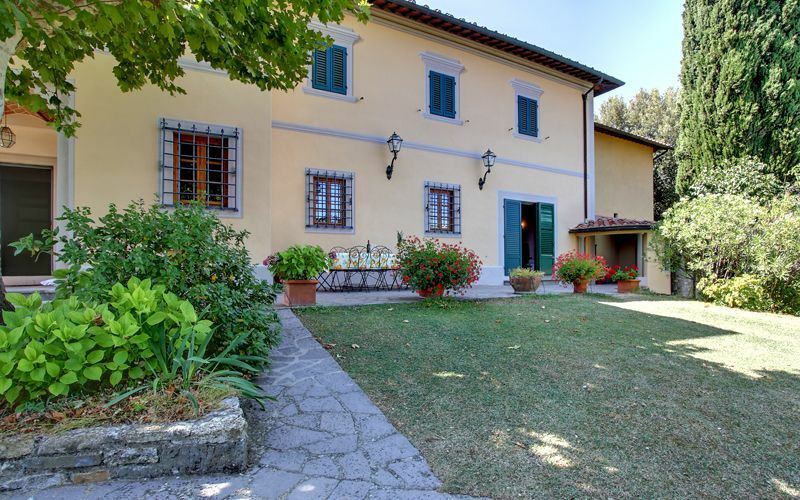 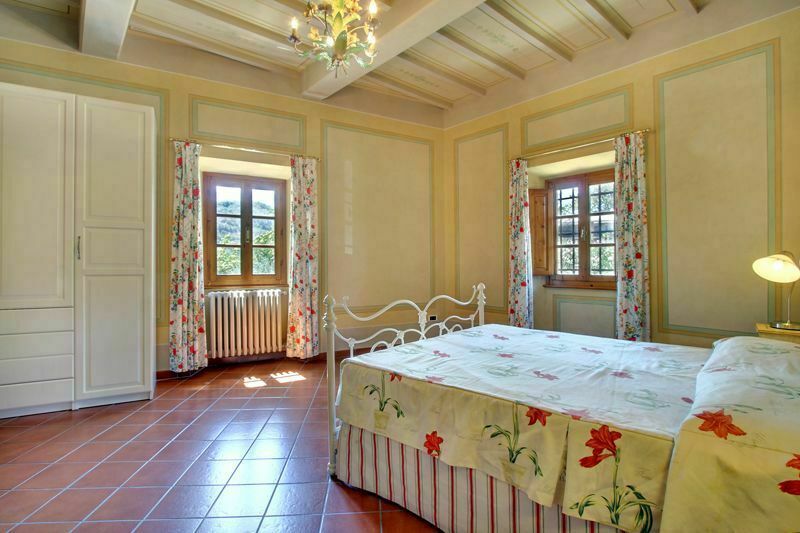 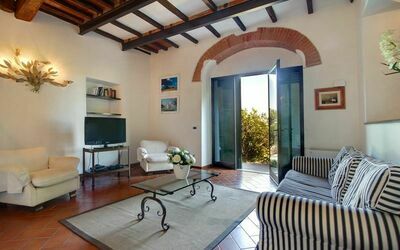 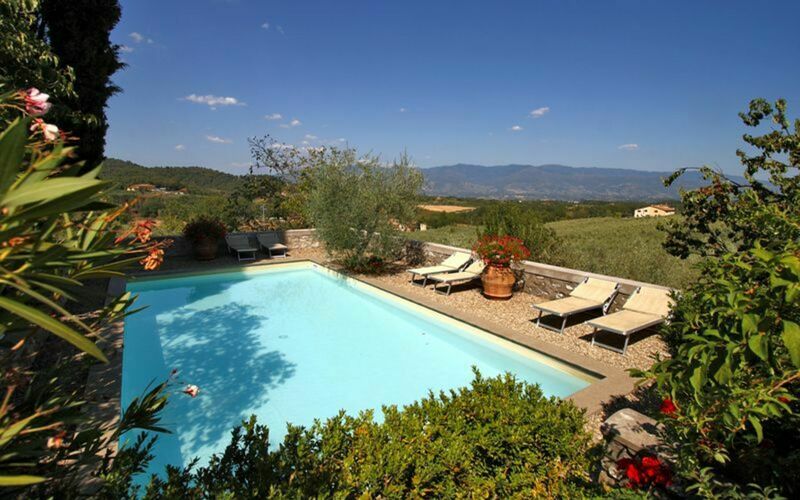 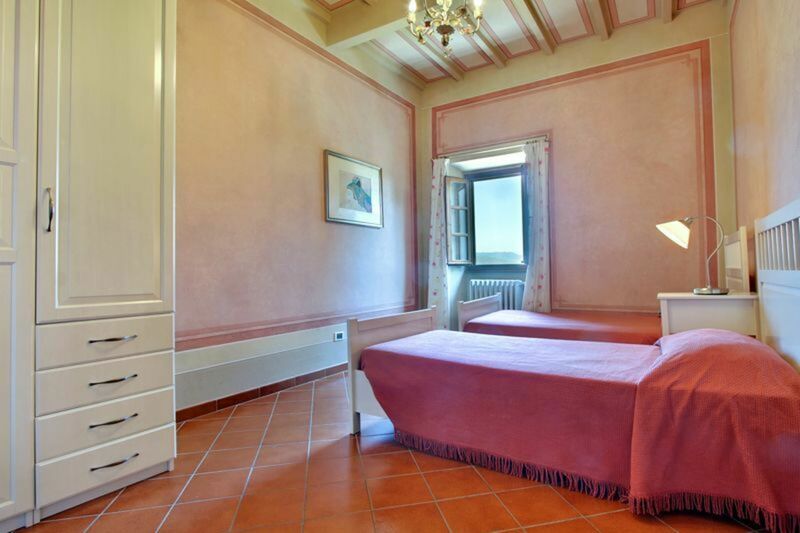 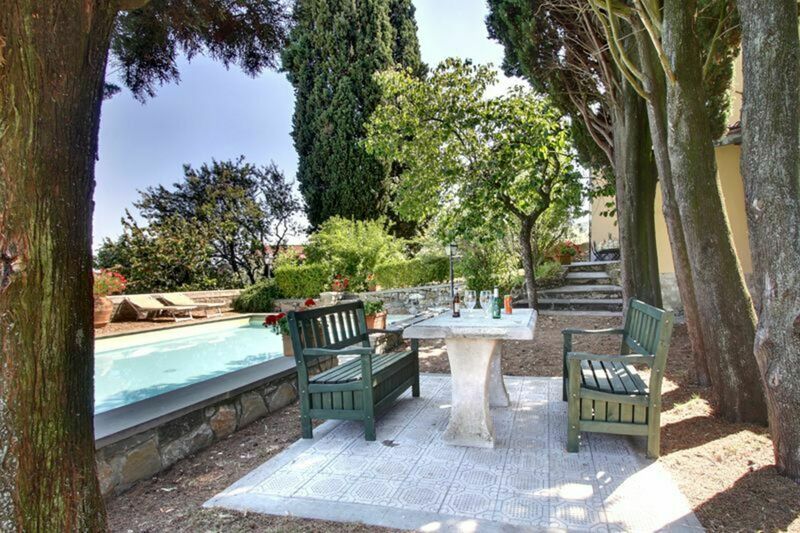 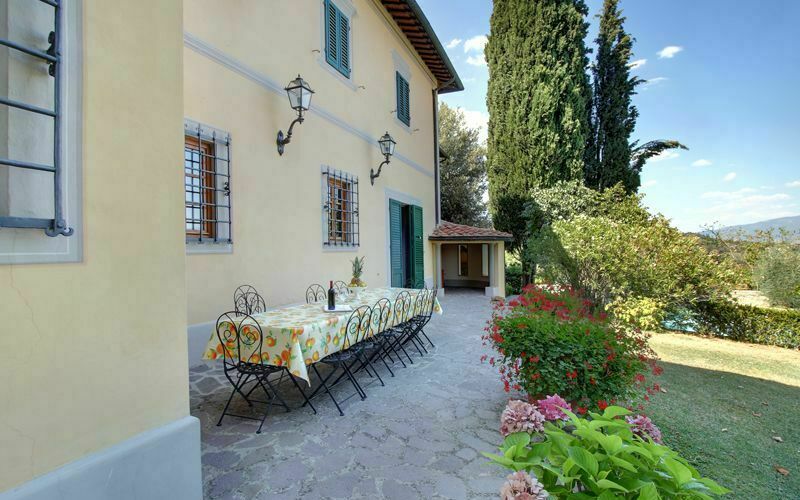 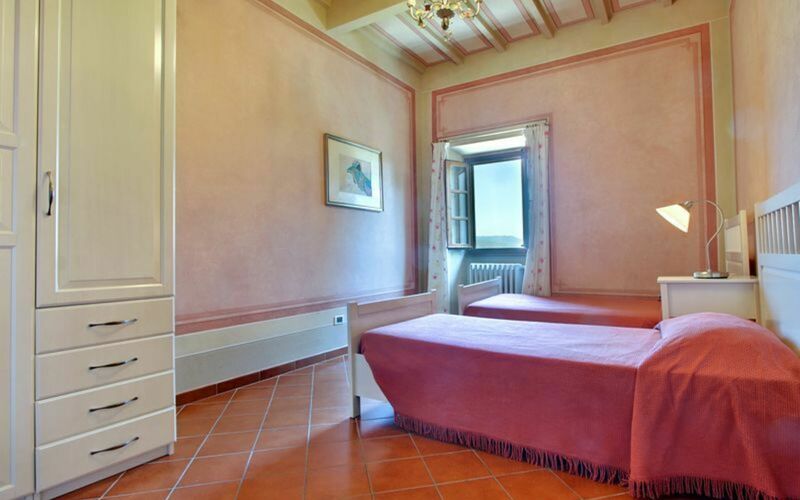 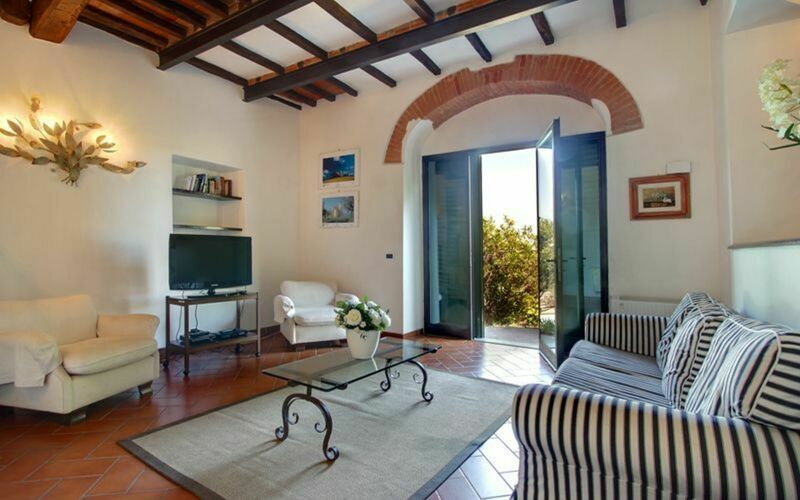 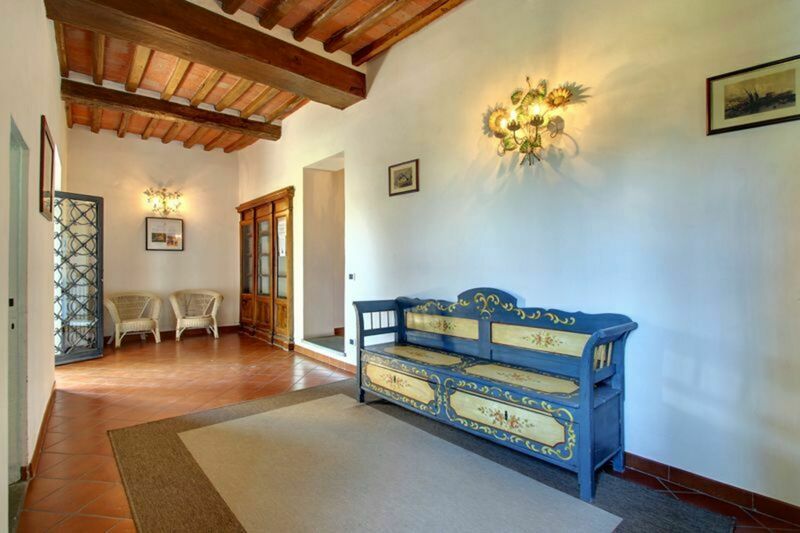 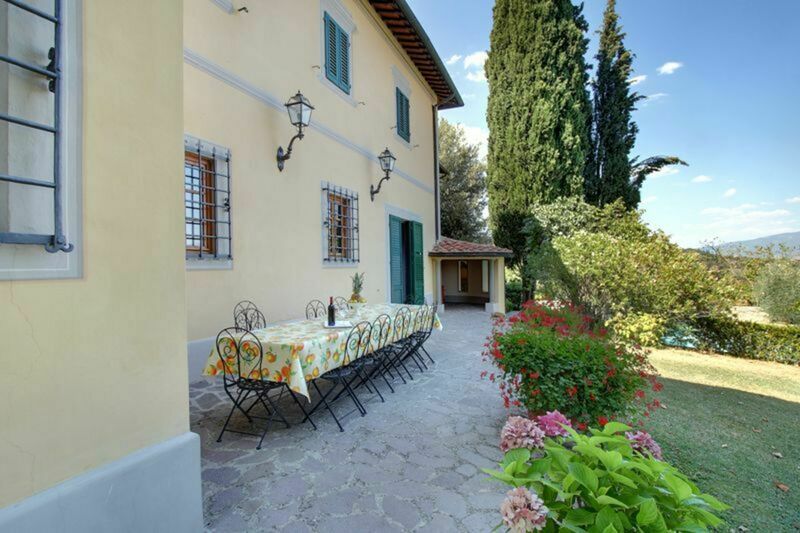 House with private swimming pool in Chianti area, close to the town of Figline Valdarno. 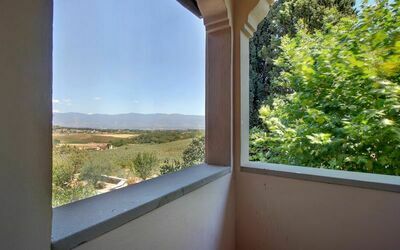 Facing fields and hills, this villa is ideally situated to easily reach the most beautiful areas of Tuscany, Chianti and Valdarno. 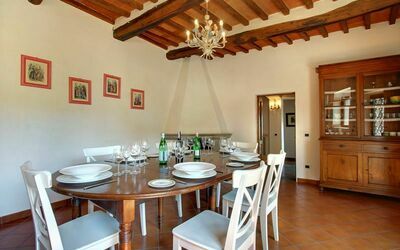 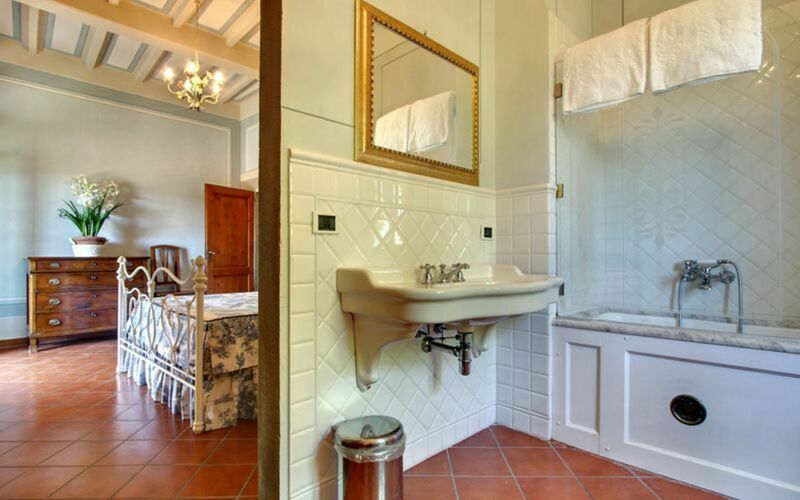 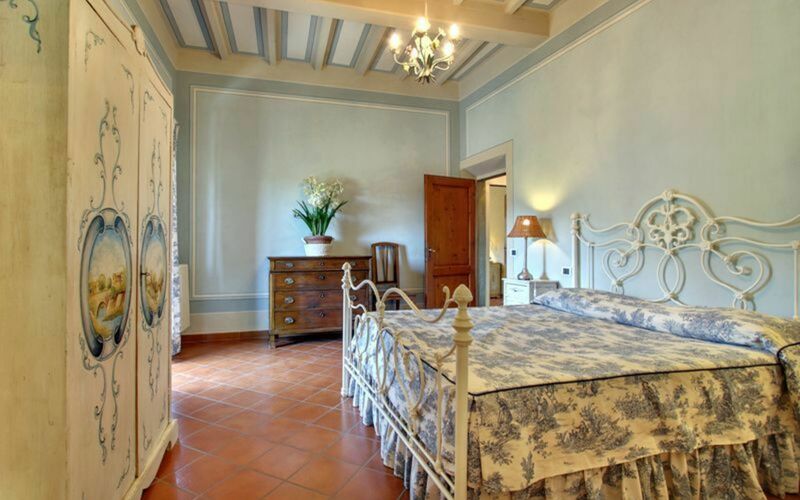 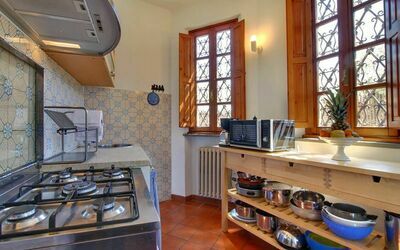 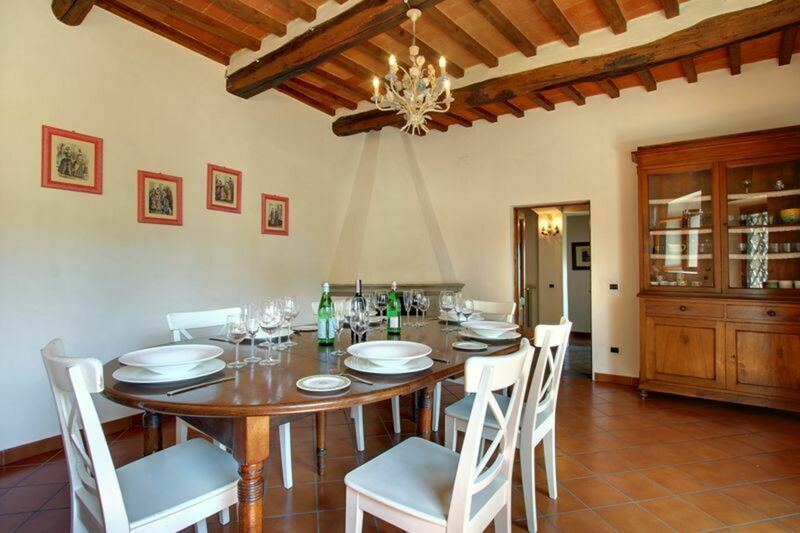 Figline Valdarno is just 7km away and offers shops and a train station with regular connections to Florence and Arezzo. The property is part of a large and traditional mansion, at the same time provides total privacy as the garden and the swimming pool is at guests' exclusive disposal. 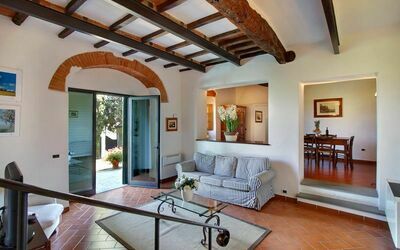 Its access is via nice gardens, beautifully furnished. 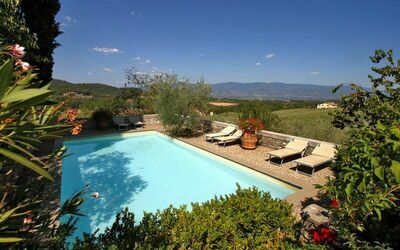 The private swimming pool enjoys panoramic hills views. 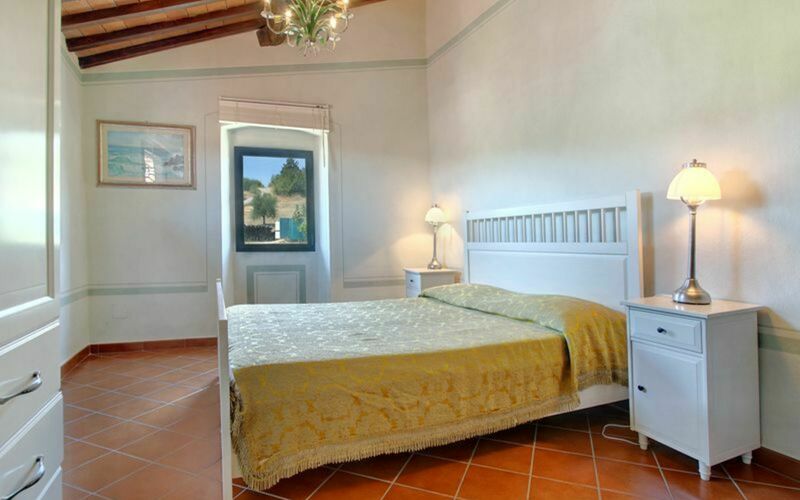 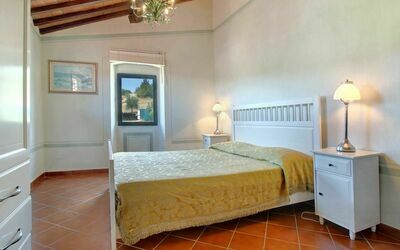 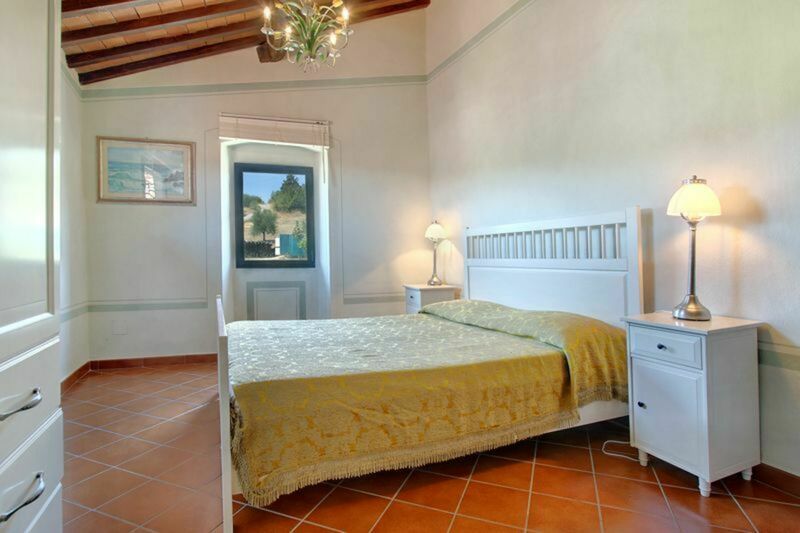 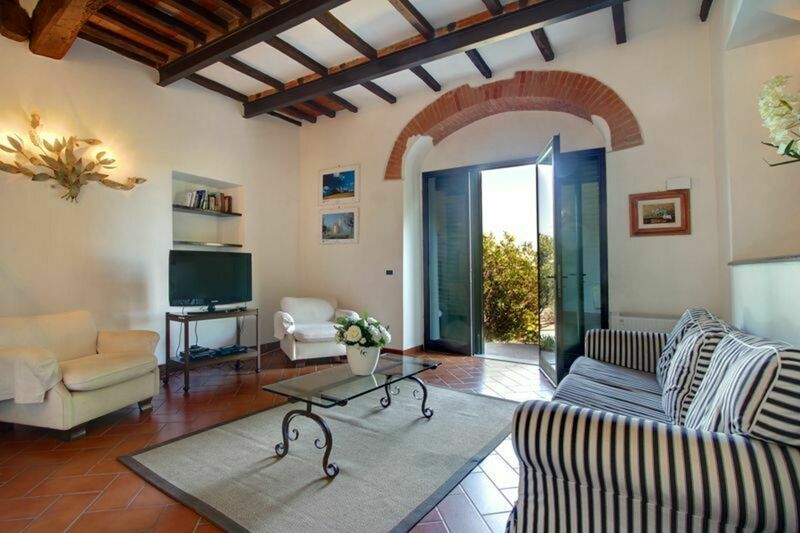 Inside, the villa is large and comfortably furnished. 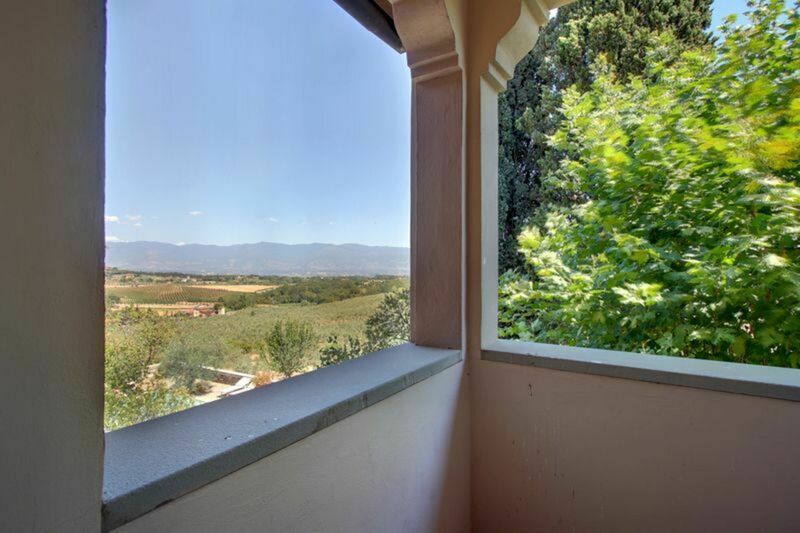 Distances: Figline Valdarno (shops of any kind) 7 km away, Greve in Chianti 12 km away, Gaiole in Chianti 30 km away, Florence 40 km away, Arezzo 60 km away, San Gimignano 66 km away, Cortona 90 km away, Montepulciano 90 km away, Pienza 100 km away, Montalcino 110 km away. 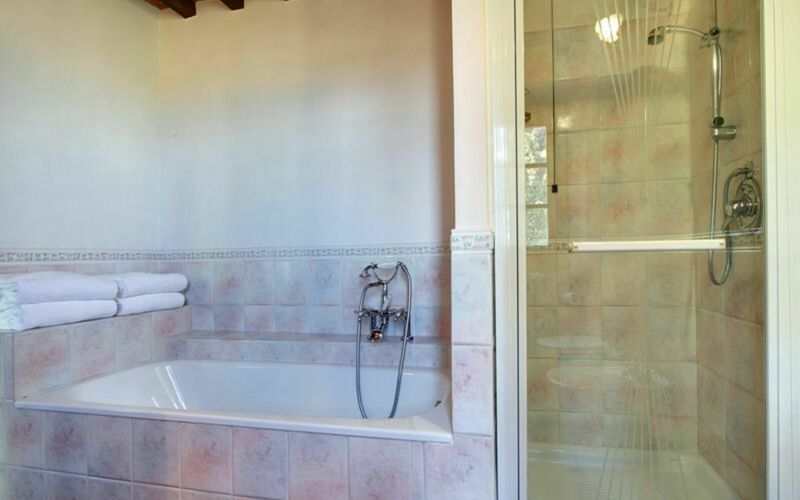 Ground floor: entrance, lounge (satellite TV), laundry room (located 7 steps above), bathroom with shower, dining area with fireplace, kitchen (oven, freezer, dishwasher, microwave). 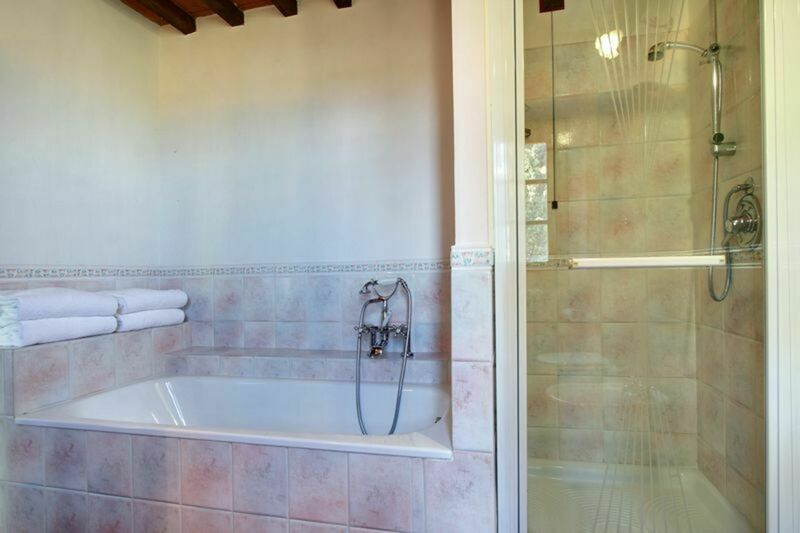 First floor: bedroom with double bed and additional single bed, double bedroom with en-suite bathroom with hydromassage bath and private balcony, bedroom with 3 single beds, bathroom with bathtub and shower. 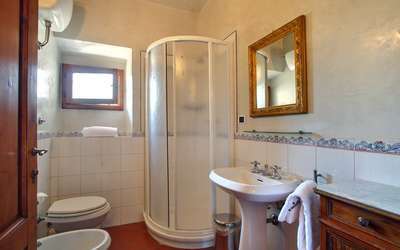 Second floor: double bedroom with en-suite bathroom with shower.